This is my first entry for the Black and White Photo contest ran by @daveks. Guest judge this week is the lovely @sweetsssj! This picture is called The Road. I think that Roads are a great metaphor for life. They have many twists and turns and there are several routes that we can take along the way that will either help or hinder our journey. It's amazing how a simple turn can lead us to all kinds of adventure. This image was taken near Beltra, Ireland on a recent trip to Dublin. 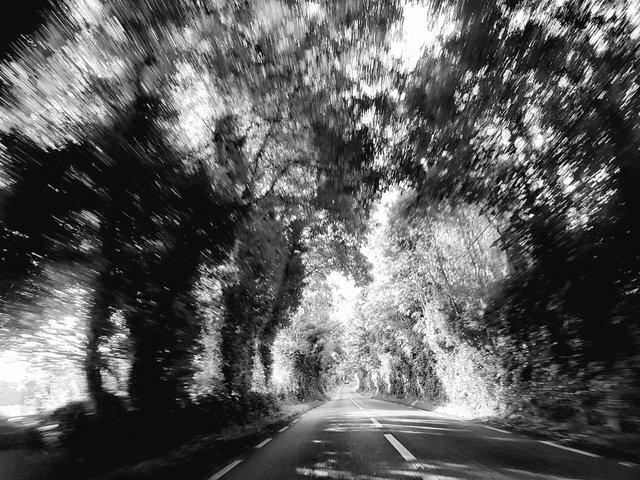 I love tunnel effect from the trees and the blur at the edges of the image give a great sense of motion.